There is a differentiation between refined and semi­-refined Carrageenan. Refined Carrageenan is the original Carrageenan. For many years it was the only Carrageenan permitted in food products. The main difference between refined Carrageenan (RC) and semi-­refined Carrageenan (SRC) is that SRC contains cellulose that was in the original seaweed while in refined Carrageenan this has been removed by filtration during the processing. Refined Carrageenan will therefore give a clear solution, while SRC gives a cloudy solution, limiting the applications. For both products the seaweed is washed to remove sand, salts and other foreign matter. The first step in the production process is the cleaning and washing. This step is necessary to remove any foreign material such as sand, salts, sticks and any debris, which may appear naturally with the seaweed. After the seaweed has been cleaned, it is heated with water containing an alkali for several hours. This step is necessary to extract the Carrageenan and at the same time increasing gel strength in the final product. The seaweed that does not dissolve, is removed by centrifugation or a coarse filtration, or a combination. The solution is then filtered again in a pressure filter in order to ensure complete removal of any insoluble particles. After filtering, the dissolved Carrageenan has to be recovered. There are two methods for isolating it. Traditionally, an alcohol­ precipitation method is generally used as Carrageenan is insoluble in high ­alcohol concentrations. This method has the advantage that it can be used for all types of Carrageenan. Another method similar to the method used for making Agar was later applied also to the refined Carrageenan production. 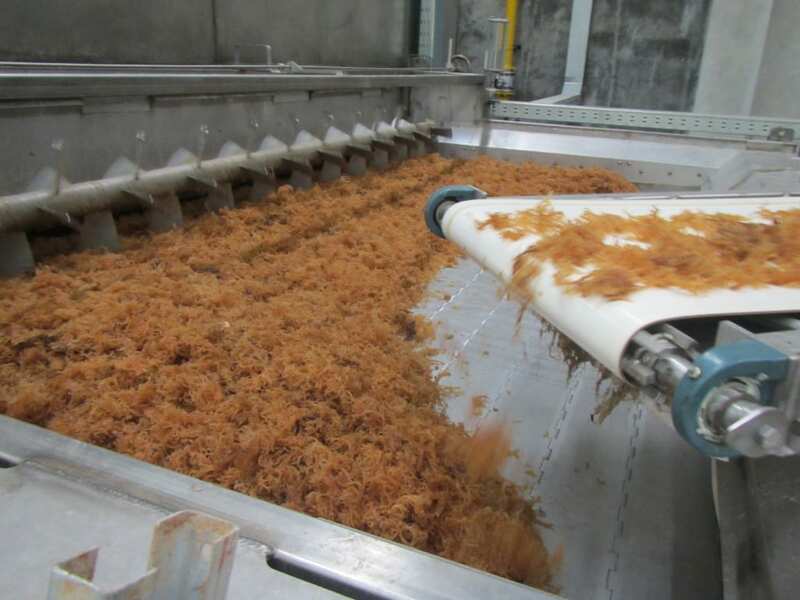 Therefore, some Agar processors in Indonesia are now using their equipment and similar techniques to produce refined Kappa Carrageenan as well. This gelling method is most suitable for Kappa Carrageenan. The gel is mainly dehydrated by gel press machines as for Agar. But it could also be recovered with alcohol process. The gel method relies on the ability of Kappa Carrageenan to form a gel with potassium salts. The gel may be formed in various ways. The most common method is to force water out of the gel by applying pressure to it, using similar equipment to that used for Agar. After squeezing for several hours the sheets of gel are chopped, dried in a hot air dryer and milled to an appropriate particle size. Inevitably, with the gel method the product contains some potassium chloride. Also for the production of semi­-refined Carrageenan, the seaweed needs to be washed before further processing. For the production of SRC the Carrageenan is never actually extracted from the seaweed. The principle is rather to wash everything out of the seaweed that will dissolve in alkali and water and leave the Carrageenan and other insoluble matter behind. This insoluble residue, consisting largely of Carrageenan and cellulose, is then dried and sold as SRC. Because the Carrageenan does not need to be recovered from the solution, the process is much shorter and cheaper. In the production of SRC the washed and cleaned seaweed is heated in an alkaline solution of potassium hydroxi­de for about two hours in order to increase the gel strength of the Carrageenan in the seaweed and at the same time dissolve any soluble protein, carbohydrate and salts without dissolving the Carrageenan. 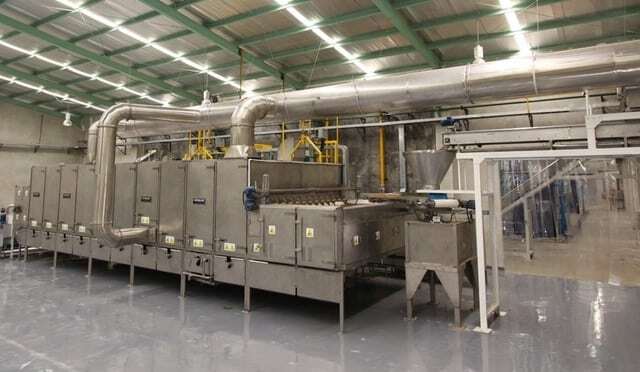 After the alkali treatment and water washing, the product is chopped and dried in a closed dryer, which will keep the bacterial count low enough to make a human ­food grade product. 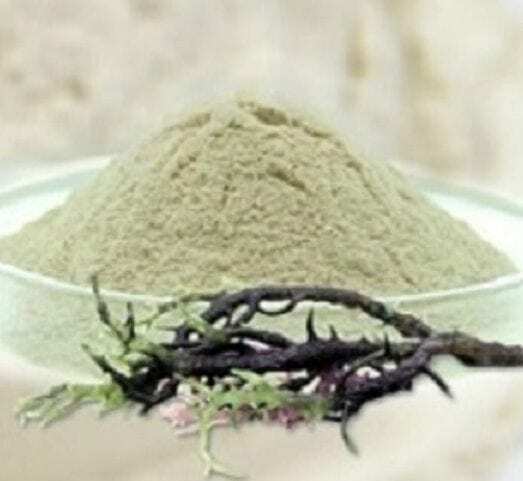 Alkaline treated Eucheuma Cottonii seaweed not produced according to the requirements for food applications is normally referred to as ATC. 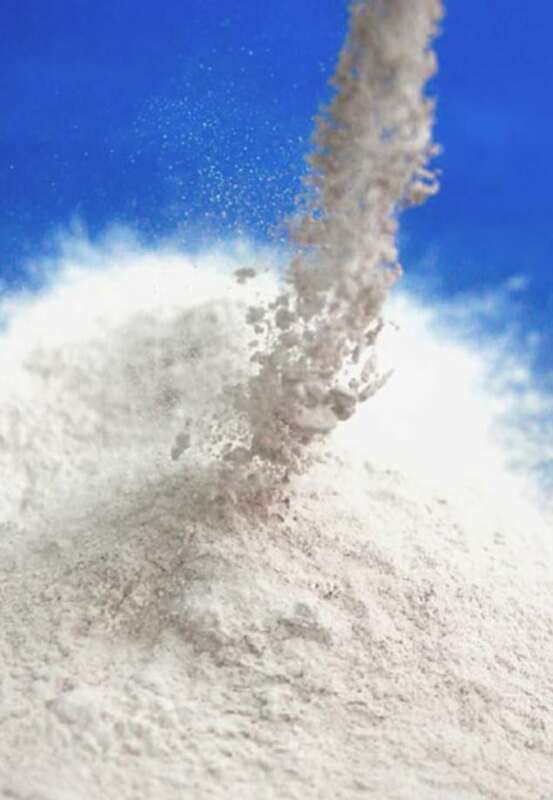 Often it is simply sold as chips (ATCC) which are typically used for the extraction of refined Carrageenan, for canned pet food or non­food applications. Of the ASTRULI member companies, seven member produce semi-refined Carrageenan, two member produce refined Carrageenan.